Hi my name is Chad Reagin and I serve as the General Manager of the Contract Division and as the Project Manager for commercial accounts. 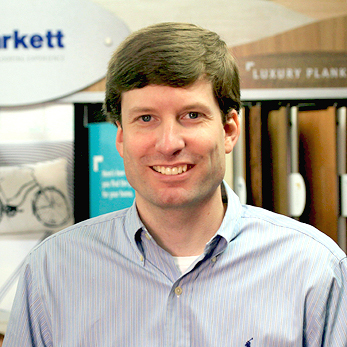 I have been in the flooring industry since 2010 and have held numerous roles within Southern Carpet, Hardwood and Tile. I enjoy the challenges and opportunities that this company and the industry have afforded me. Seeing a project completed on time and to the customer’s satisfaction is what drives me in my role. When I’m not working I enjoy doing anything outdoors and spending time with my wife Jennifer and our two young children, Jack and Lucy.